At Waitakere Foot, our mission is to provide an affordable, friendly and professional podiatry service to the wider Auckland community. Our team is dedicated to ensuring patient’s individual needs are met, as we believe everyone deserves to walk, or run, through life pain free. We pride ourselves on demonstrating a complete podiatry service, using advanced, specialised treatment options for people of all ages, from all walks of life. Waitakere Foot was established in 2009 by Kiseon Hong, with a single clinic in Te Atatu Peninsula. Having graduated three years prior, Kiseon made it his goal to provide affordable and professional footcare for the West Auckland Community. Practicing out of a joint Physiotherapy Clinic, there was a need to extend his services across a larger area. Shortly after, Waitakere Foot introduced a satellite clinic in Henderson seeing mainly diabetic patients. The need for another practitioner was paramount, so the small two-person team doubled in size! The Henderson Clinic was conveniently located within Sports & Spinal at Henderson Medical Centre and attracted a vast array of patients from all walks of life. A lot of these patients were travelling from Central West Auckland for footcare, so Waitakere Foot looked to expand again, this time joining an Osteopath Clinic in New Lynn part-time. 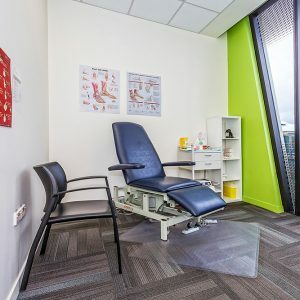 A few years later, an opportunity presented itself in a brand-new Medical Centre in New Lynn that we couldn’t turn down and our second full time clinic opened in April 2013 by Prime Minister at the time, John Key. Located in the busy Totara Health Medical Centre, the New Lynn Branch has grown to be our busiest clinic and Head Office. Waitakere Foot has grown strength to strength, introducing new practitioners and administration staff on the way. In March 2018 Waitakere Foot opened its Henderson branch full time taking us to three full time clinics. We are proud to have a strong relationship with numerous PHOs, Rest Home & Retirement Villages, as well as local GP Practices, Physiotherapy Clinics and Orthopaedic Surgeons. Providing professional, and complete footcare for everyone to ensure they are walking through life best they can is our goal.